Still, after five years of operation, police officials said revenue is expected to be $2,796,999 if motorists' behavior doesn't change with money going to city general fund coffers. 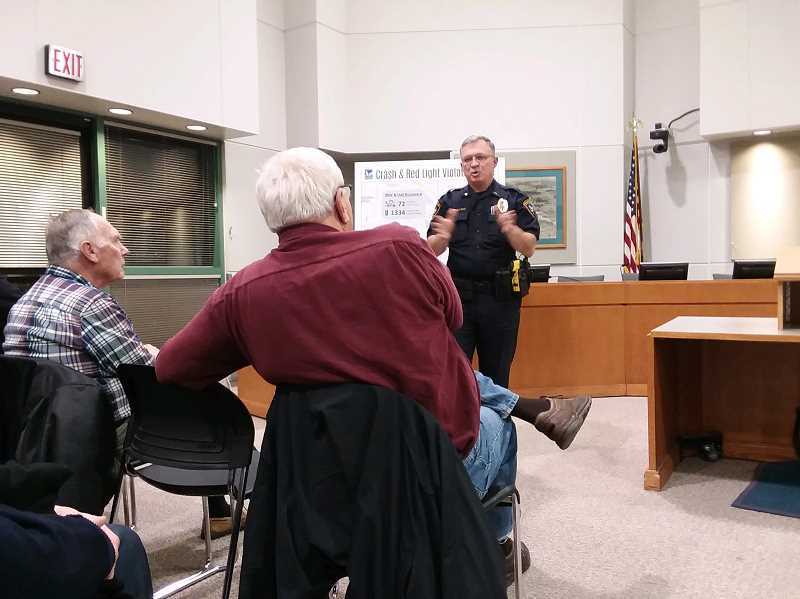 Tigard Police Lt. Mike Eskew, who led the request-for-proposal committee that looked at different vendors, said the city is currently waiting on approval from the Oregon Department of Transportation to begin installation of the equipment. "They have to bless our request and that's where we are now," said Eskew, noting that Pacific Highway is a state-owned thoroughfare. In September, the Tigard City Council approved entering into a $2.1 million contract with Conduent State and Local Solutions Inc.
Tigard is following suit of such surrounding cities as Beaverton, Tualatin, Sherwood and Portland in the installation of equipment that will result in tickets mailed to residents who run red lights at those locations. Future plans will include activating equipment that can track speeds through those same intersections and issue tickets as well. 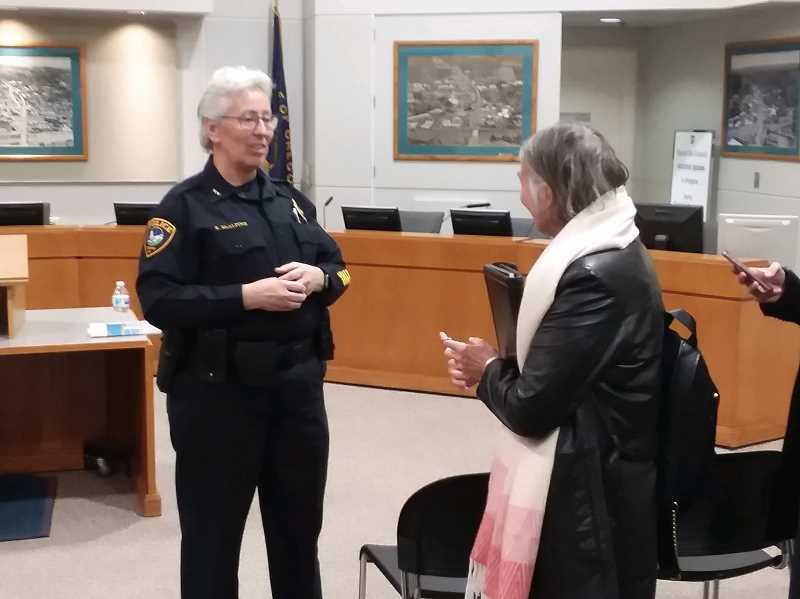 Lt. Neil Charlton, a Tigard police traffic enforcement team supervisor, said the Pacific Highway/Hall Boulevard intersection will be the first to go "live" with photo traffic enforcement, followed by Durham Road and then 72nd Avenue. For each intersection, there will be a 30-day warning period where motorists will be warned but not issued tickets for violations. Charlton also explained that the photo system will be more lenient than a patrol officer might be based on a very brief delay (installed by the vendor Conduent) before those strobes flash. As an example, once a light turns red along Pacific Highway and the cross street light turns green, an additional .1 second of time will be added before the camera is triggered for a motorist who may be in the process of running that light. Meanwhile, when the "speed on green" equipment is activated down the road, motorists won't be mailed tickets unless their speed is 11 mph or greater (and likely more than that), Charlton emphasized. "We're trying to give the driver the benefit of the doubt as best we can," he said. "So really what is comes down to in court for the judge is a preponderance of evidence," said Charlton. In response to a question from an audience member regarding results experienced by other cities, McAlpine said many have seen double-digit reductions in crashes and fatalities. A fact sheet about red light safety statistics lists Beaverton as experiencing a 36 percent decrease in reported violations since 2009. Most jurisdictions who have implemented similar photo traffic enforcement have, however, found that red-light violations decrease over time. Costs involved with the project include installation of the lights, explained Eskew, along with costs associated with remodeling of the municipal courtroom to accommodate increased people coming to court and funding needed to hire two new court clerks to help with that workload. 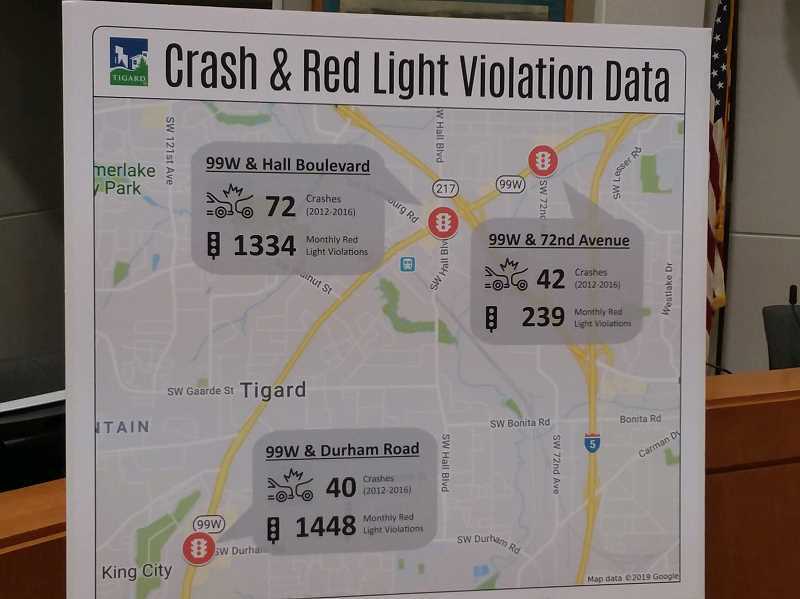 According to a fact sheet provided by the city, Tigard officials found that "photo enforcement leads to fewer violations, reduced fatalities and injuries as a result of intersection crashes."